OOH FANCY THAT: .. shrimp & grits ..
.. shrimp & grits ..
Made this the other week with C. Yum! 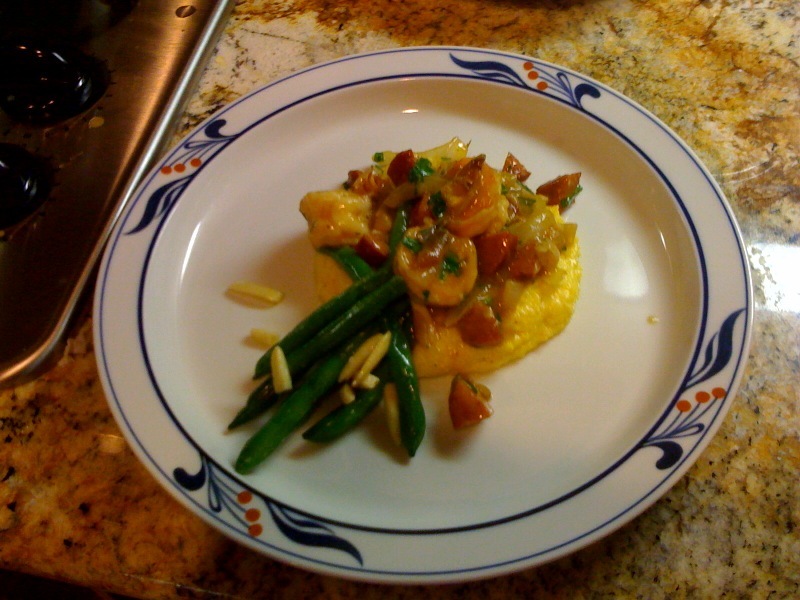 It's served with some blanched greens beans that were later sauteed with some slivered almonds. Tips for great grits...Make sure you use stone-ground cornmeal (there's more texture there), great chicken stock, cream, and cheddar. 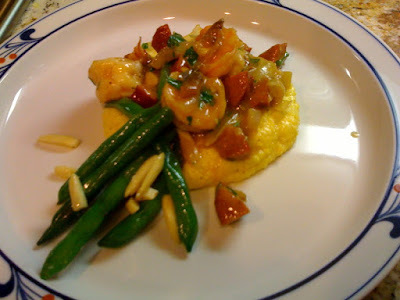 I like to add spicy sausage to my shrimp, which helps with flavor, and once you get all those great bits in the pan, add flour, and deglaze for a great sauce!